August 1, 2018. . .Portsmouth, VA – Sarah Dennis is into trash – specifically recyclable materials people throw out in their recycling bins. As the Inside Sales Manager, Environmental Compliance Manager and Human Resources Representative for RDS Recycling, Dennis wears many hats. She has been with the company for almost four years. As the Inside Sales Manager, Dennis is responsible for all inside sales and current accounts. She sets up new accounts, making sure the customer gets the right service for their needs. She also makes changes to existing accounts. In addition, Dennis is the Environmental Compliance Manager. She oversees all DEQ and city permits, inspections and reporting to ensure the facilities remain in compliance. Lastly, she is also the Human Resources representative for the company’s Portsmouth location. Dennis is in the minority, according to the Bureau of Labor and Statistics, as a woman in the recycling business. 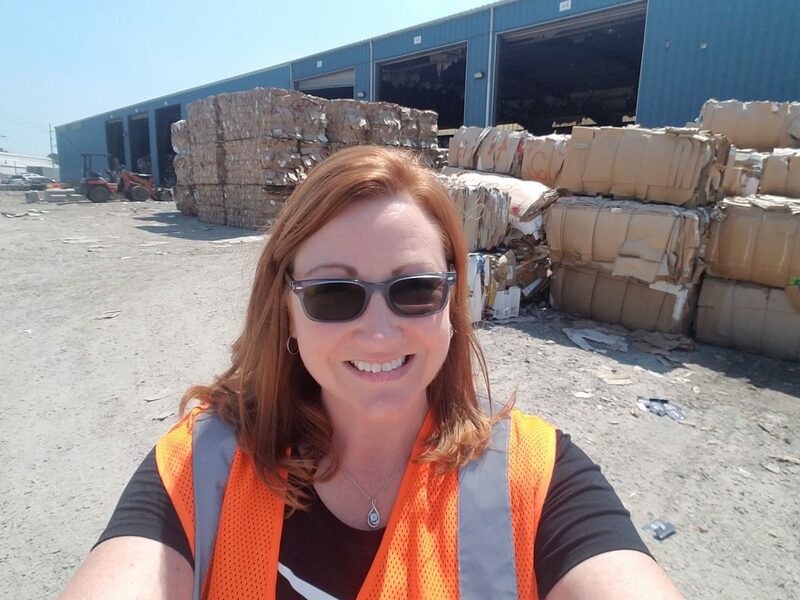 According to Waste 360, companies who buck the trend of male-led and dominated business models for recycle will be the future of the industry. That’s just where RDS is headed. Dennis also offers this advice: Do not fall into stereotypical behaviors that would only perpetuate stereotypical thinking. Also, strive to be more, and push yourself to do more than what other people expect of you, and even what you expect from yourself. The bottom line is, Dennis wants to make a difference.